Dave McKinsey is the pen name for Jeremey Donovan who is Chief Marketing Officer of American Management Association International. He is also the author of four books including the international public speaking best seller How to Deliver a TED Talk. In this conversation, Jeremey discusses his new book, Strategic Storytelling: How to Create Persuasive Business Presentations. 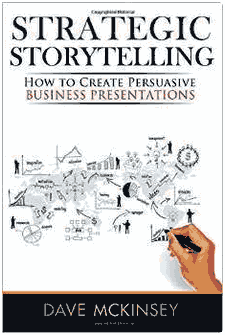 Geetesh: In your new book, Strategic Storytelling: How to Create Persuasive Business Presentations you mention that most presenting books are authored for keynote style deliveries, rather than everyday business situations. Tell us more about this gap you observed? Jeremey: I have an entire row of my bookshelf at home devoted to public speaking books. I love them all. Some of my favorites are slide:ology by Nancy Duarte, Presentation Zen by Garr Reynolds, and World Class Speaking by Craig Valentine. Each one of these books, and the ones next to them on the shelf, does an outstanding job of covering the nuances of content, delivery, and design. The issue with these books is that they are written by thought-leading gurus and professional speakers. Most of the work they do for others is for very large audiences who are looking for inspiration and entertainment as much as they are looking for information. I felt there was a gap with respect to the kinds of presentations business people give everyday when trying to persuade their boss to approve a recommendation. This all happens through conversation sitting in chairs around a table rather than standing on a stage. You get that kind of training if you work for certain management consulting firms such as McKinsey, Accenture, or Boston Consulting Group. For the rest of us, until now, we needed to reach books about keynote speaking and try to pull out the pieces we can use at work. Geetesh: Storytelling is synonymous with presenting these days – but how are stories different in the world of business compared to stories we see or read? And how are they similar? Of course people can and do embed classic stories inside business presentations. However, that is pretty rare in day to day settings. What I talk about in the book is a little different. 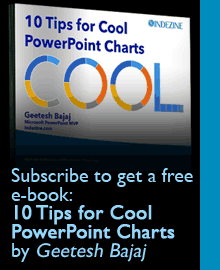 It is all about apply story frameworks to business persuasion. Specifically, I recommend another variation on the three act structure called situation, complication, resolution, or SCR for short. The situation maps to Act 1 in the Pixar Pitch, the complication to Act 2, and the resolution to Act 3. The main difference is that the characters are business strategies, processes, and technologies rather than people.